Your kids have either already been on Spring Break this week, or they are about it be. 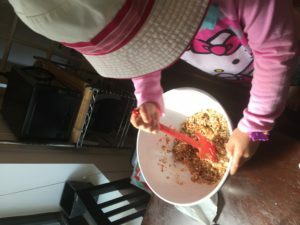 Here are some fun snacks to make with them while they are home over the next few days. Adapt and modify them to fit in with your families’ tastes. These snacks are very versatile, healthy and super easy. They also work great for lunchbox ideas, pack well for picnics, days out and road trips. Happy snacking! 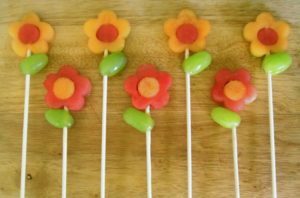 Cut little rounds of melon for petals and small circles for center, place on cocktail sticks along with grapes to resemble flowers. There are super cute for play dates or for a lunchbox surprise. 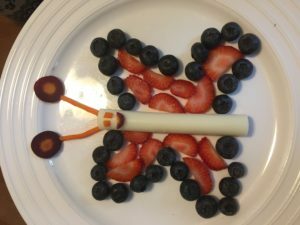 Place open string cheese in center of the plate, adorn either side with berries to resemble the shape of butterfly wings, use pieces of carrot for antennas and eyes. 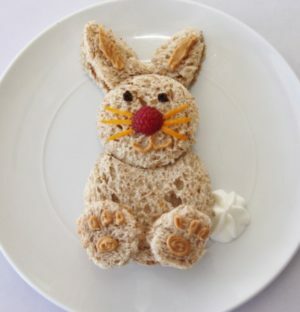 Simply make your favorite sandwich and use fun cookie cutters to shape it, serve along-side fresh fruit and vegetables for a healthy, colorful lunch. 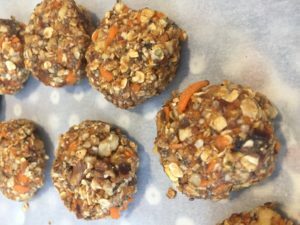 These carrot cake inspired mini bites are truly delicious and addictive. Not only are the scrumptious and naturally sweet (no added sugar! ), they are packed full of nutrients and vitamins from the almonds, carrots, flax and chia. Combine shredded carrots, almonds, raisins, flaxseed, and spices in a bowl and stir to combine. Add almond butter and syrup to the bowl and stir again until evenly combined. Place mixture in refrigerator for at least one hour. Shape mixture into one-inch bites and keep stored chilled in the refrigerator.